Intrepid City Weekly writer Colin Wolf always has his finger on the pulse. 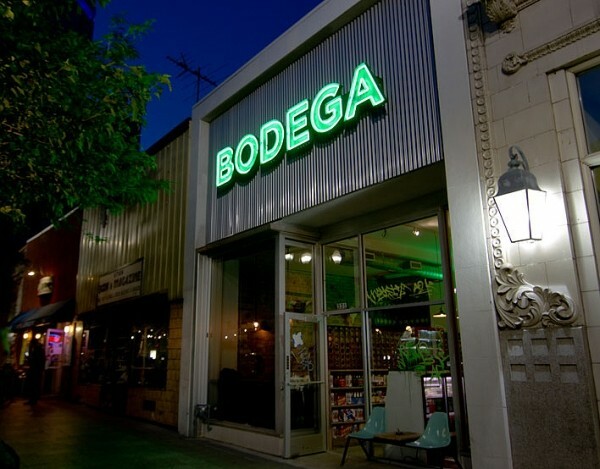 He recently tipped me off to an intriguing new grocery/bar/restaurant called Bodega (331 S. Main, 801-532-4042, Bodega331.com). In addition to convenience foods, including empanadas (think a tiny, upscale 7-Eleven), there’s a small bar. But there’s also a semi-secret, underground restaurant—where you can chill and listen to tunes on vinyl—and a library room, all evidenced only by a half-burned out restroom sign that says “rest.” Call and make a reservation, and you’ll get a key to a secret door that leads to the restaurant, which sells hand-crafted cocktails. Stay tuned for more details about this semi-off-the-grid eatery. Birds & Bees & ... Cheese! The seventh-annual Union of the Birds & the Bees will take place at Ogden’s Historic Union Station Fountain Plaza (2501 Wall Ave.) on Friday, July 19, from 7 to 10 p.m. During the event, guests will sample award-winning Beehive Cheeses, food from Roosters Brewing Company, Creminelli meat products, Amour spreads, Roosters’ beers, and live music from Shades of Grey. Among the menu items are carne asada & Beehive Smoked Habanero tacos; lemon arugula salad with Beehive Aggiano; grilled leg of lamb sliders; beer & Beehive fondue; and much more, including 10 different beers from Roosters. Admission is $50, which benefits the Union Station Foundation, and includes a commemorative glass. Purchase tickets at BeehiveCheese.com. Sing no sad songs for Viet Pham, co-owner of Forage restaurant and recent contestant on TV’s Food Network Star. He was booted on the fifth episode of the series, but was humble and philosophical about his experience on the show. Pham, who no longer cooks at Forage, says he has no intention of leaving Utah, despite his currently high media profile. In fact, he’s opening a new restaurant in Park City this summer called Fire & Water. I’m told that seafood will be highlighted. Stay tuned.